Early in 2013 I was contacted by a woman who was interviewing photographers around the world to work for the new business venture she was about to start, a company called Flytographer. The idea behind Flytographer is a brilliant one: go on vacation, hire a local photographer for anywhere from 30 minutes to 2 hours, and get some priceless photos that will beat an arm-length selfie any day! 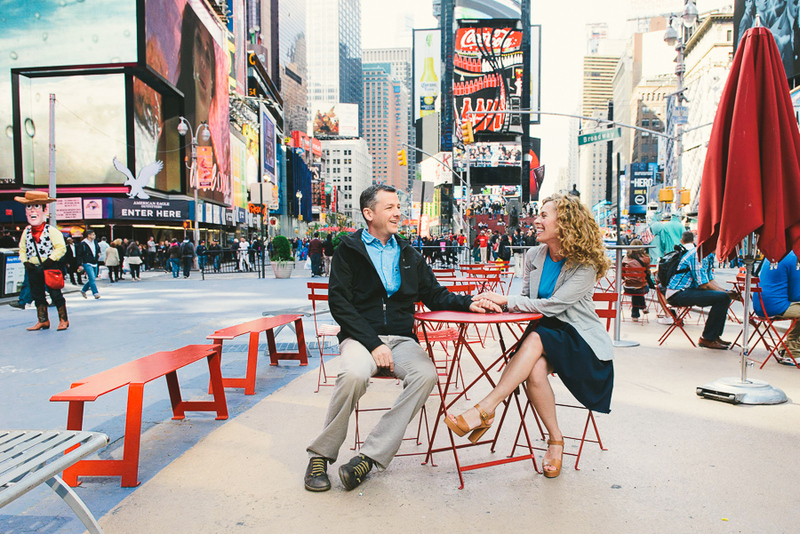 My initial test shoot was with Cindy and John, a couple who were visiting NYC on a romantic getaway (sans kiddos). We started in Times Square and meandered over to Rockefeller Center for some iconic New York photo goodness! At the time of that first Skype interview, Flytographer had photographers in London, Paris, and Vancouver. Less than a year later, they are represented in over 70 cities worldwide. I am proud to be one of the original shooters, and look forward to meeting more awesome vacationers from around the globe!